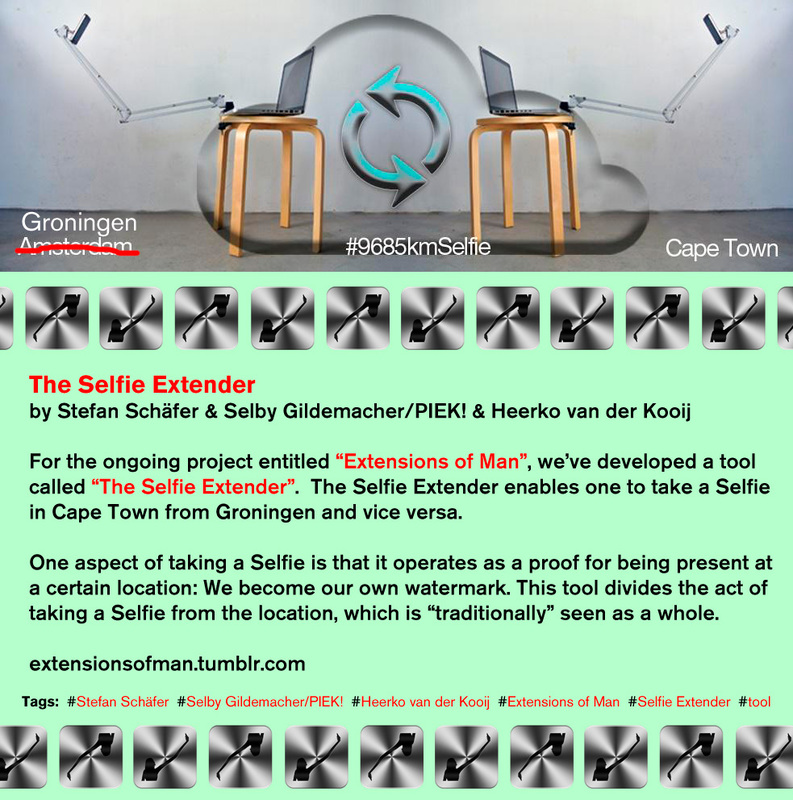 The Selfie Extender devides the act of taking a Selfie from location, which is “traditionally” seen as a whole. 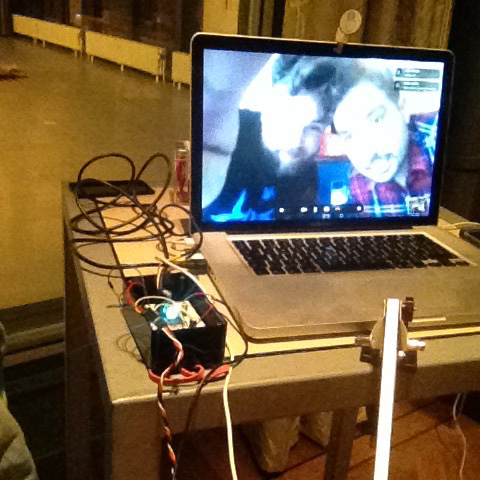 A Selfie operates as a proof for being present at a certain place, and we basically become our own watermark. 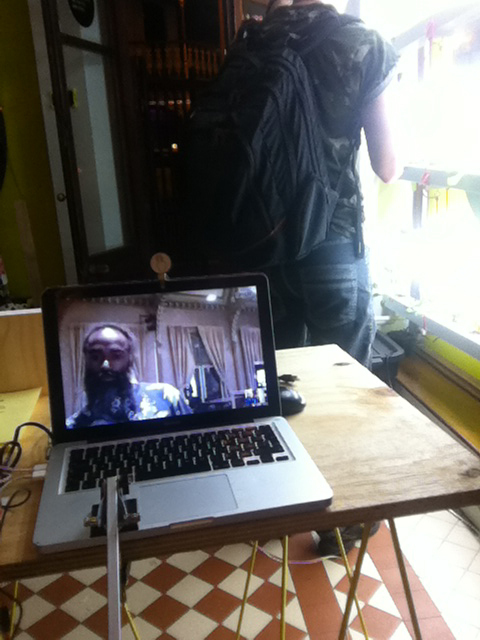 In this project the audience is physically present at one spot and takes a virtual Selfie at any other spot imaginable. 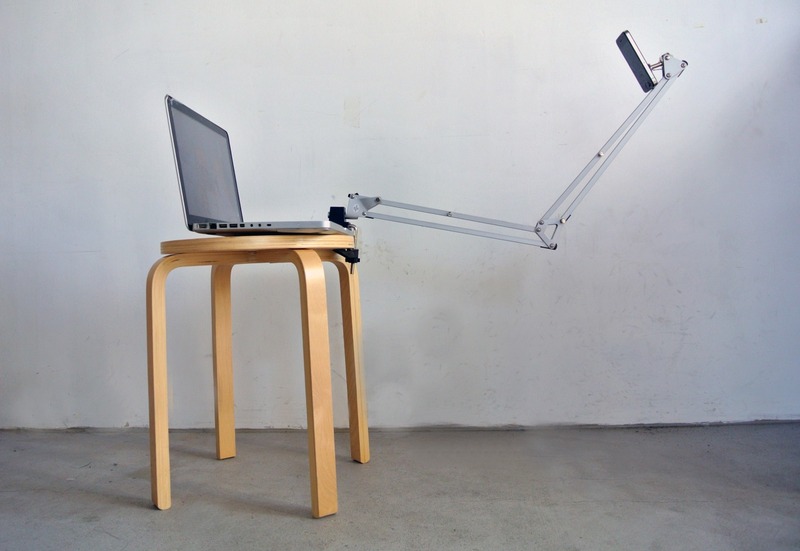 By physically pressing a button on one location, the robot arm will take the photo on the other location. 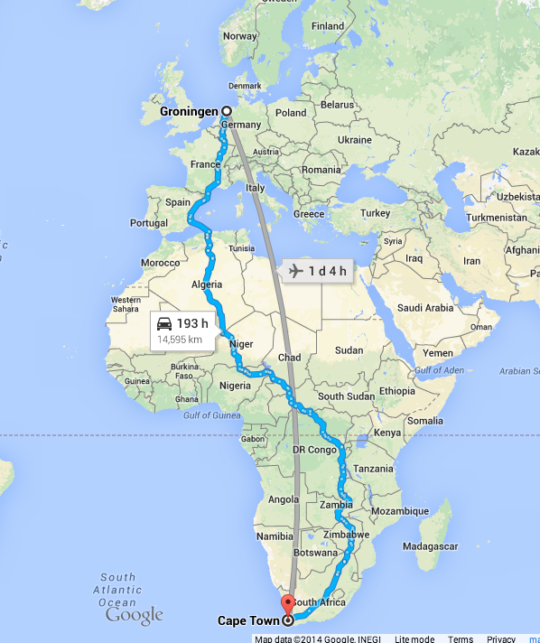 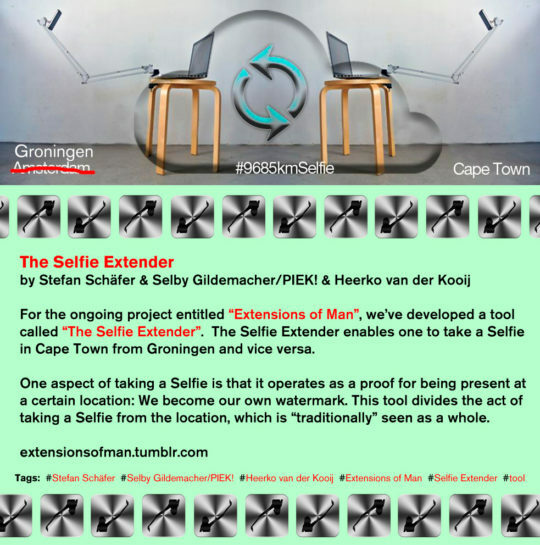 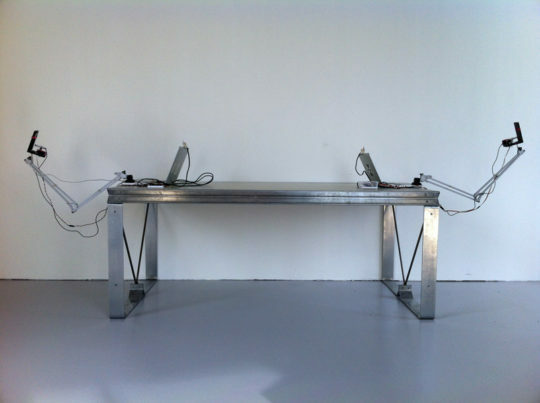 The installation was done with a 10.000 km distance selfie between Groningen (NL) and Cape Town (ZA) in 2014.